In this post we will take a look at what can be the cause of not being able to login to vRO, especially in the embedded vRO in a distributed vRA deployment, with [invalid username/password] error. You have configured an AD LDAP directory in vRA and you have synchronized users and groups in vRA. 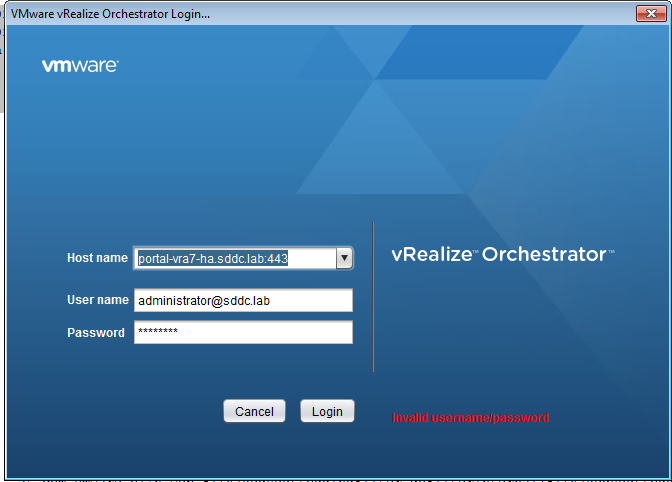 You may have configured Windows Integrated Authentication in the vRealize Automation / Identity Manager. 2016-07-08 12:14:30.884+0000 [http-nio-8283-exec-7] ERROR [ConfigureAuthProvider] [6ebebde6-1656-4e10-ad5e-1fcc025df117] Wrong credentials. "error_description": "Invalid username or password"
2016-12-08 15:31:14.774+0000 [http-nio-127.0.0.1-8282-exec-5] ERROR [ConfigureAuthProvider] [736cc36a-39e2-48cd-9dcf-2ef025bf5bbc] Wrong credentials. 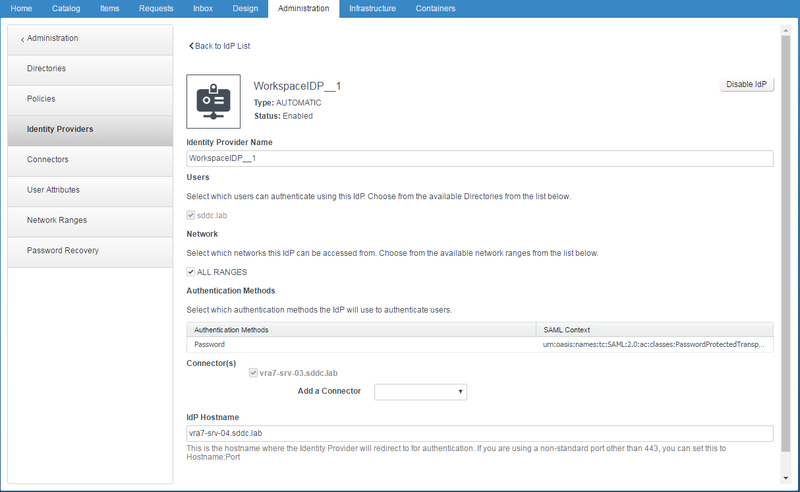 Misconfigured Identity Provider settings in vRA. Inconsistent vRO Cluster Nodes configuration. Here are few things that may help you resolve such login issues. 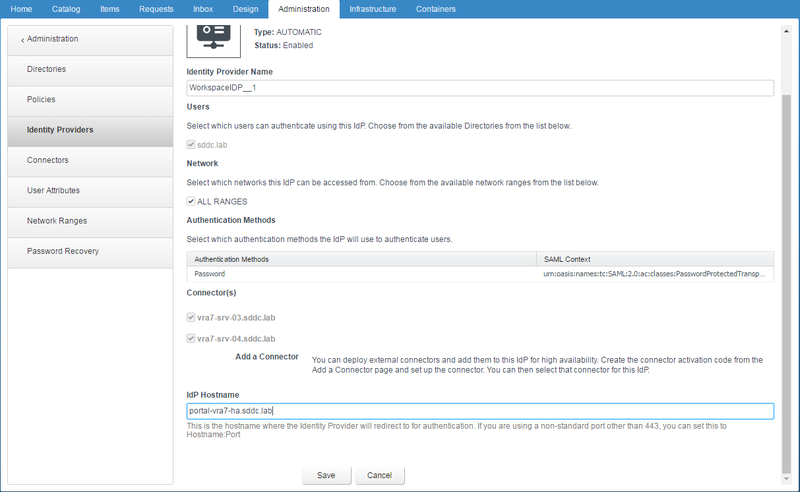 Issue may occur if in the Identity Provider configuration, the IDP Hostname is pointing to one of the vRA VA VM’s addresses and not the vRA VM Load Balancer (LB) address. 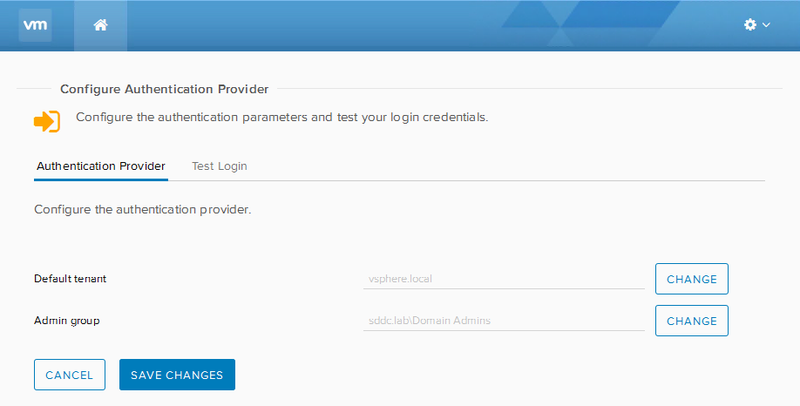 Change the ldp Hostname to the point to the vRA VA LB address. 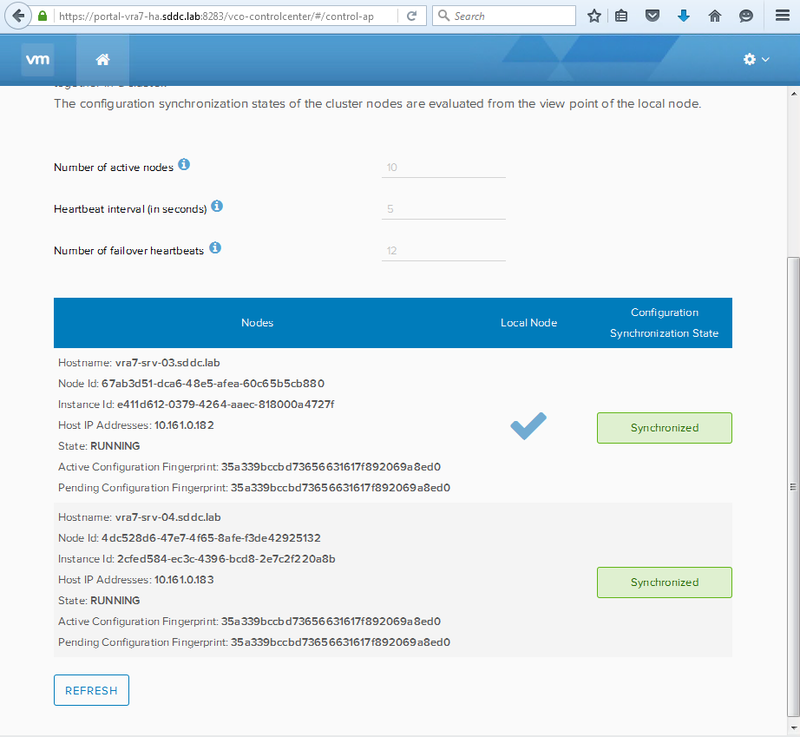 Additionally you may add all vRA VA Nodes as Connectors in the Identity Provider. Additionally make sure you can successfully sync users and groups from AD within the Directories tab in VRA. Make sure that the Admin Group in the vRO Authentication Provider settings is set to the AD admin group you want to grant access to vRO. Make sure all vRO Nodes are synchronized. If you are using vRealize Automation/ Identity Manager with integrated Windows Authentication (IWA) make sure to vRA is version 7.1 or higher. When Integrated Windows Authentication (IWA) AD configuration is done for AD with multiple domains (child/trusted domains) you may receive errors similar to the once above. This issue occurs because vRealize Automation/ Identity Manager cannot perform authentication against Integrated Windows Authentication (IWA) active directory secondary/trusted domain users. This entry was posted in Cluster, LB & HA, VMware, vRA, vRO and tagged invalid credentials, load balancer, orchestrator, SKKB1037, vco, vip, vmware, vra, vrealize automation, vro. Bookmark the permalink.